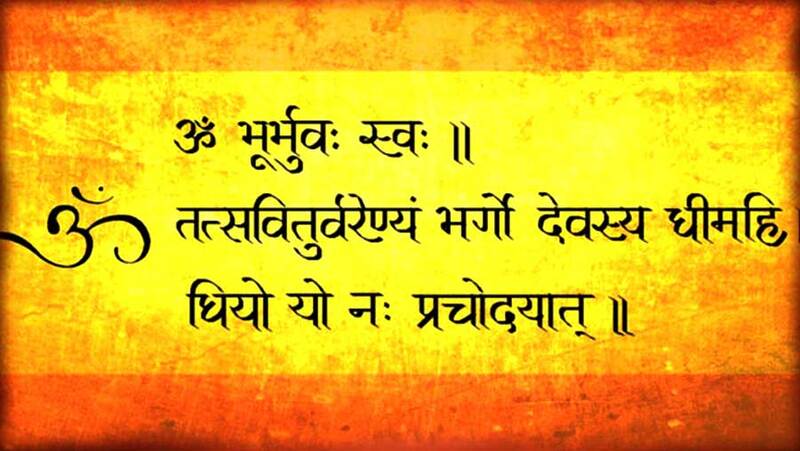 The Gayatri mantra is a prayer to the Supreme, which stimulates our mind and empowers us. It is a prayer for our internal strength. 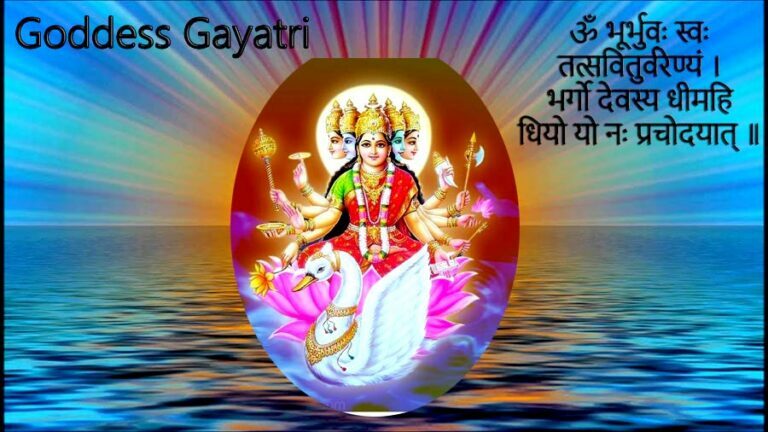 Gayatri is the Mother of all scriptures i.e. Vedas. She is present, wherever Her name is chanted. She is very powerful. She nourishes the individual being. She bestows pure thoughts on anyone who worships Her. Gayatri, the mother of the Vedas, has three names: Gayatri, Savitri, and Saraswathi which are present in everyone. Gayatri is the master of the senses. Savitri is the master of Pranas (Life Force). Savitri signifies the truth. She is the lady, who brought back to life her dead husband, Sathyavan. Saraswathi is the deity of speech. Thus, the three names of Gayatri represent purity in thought, word, and deed. Although Gayatri has three names, all three are in each of us as the senses (Gayatri), the power of speech (Saraswathi), and the life force (Savitri). Sit on an Asana facing east. Imagine that the golden rays of the rising Sun are directly reaching up to you and entering your body through the pores of the skin. These rays are being absorbed by your internal organs in the form of divine light. All the organs are getting healthy by the influence of this divine light. The divine golden sattvic rays of Sun are also entering your brain and filling it with divinity. The absorption of these Sattvic rays in your brain is resulting in the emergence of positive and Sattvic thoughts. Acknowledge and experience Sattvic thoughts. Maintain the above visualization and start chanting the Gayatri Mantra. Continue chanting the Mantra till 108 repetitions are over. You can take this practice to a higher level by visualizing a brilliant and luminous light appearing at the Ajna Chakra while chanting. Become aware of the flow of breath in the nose. Maintain complete awareness of your every breath going in and coming out. Start chanting the Gayatri Mantra with the breath mentally. Chant the mantra with every inhalation and exhalation. The total awareness should be in the nostril observing the flow of breath and the Gayatri Mantra attached to it. Continue this practice till the Japa of 108 Mantras is done. You should count the Mantras and not the breaths. It might be possible that one Mantra might not be equivalent to a single breath (either inhale or exhale). If Mantra does not fit the breath, you should still continue the Mantra with the following breath. If the Mantra gets finished before the breath, start the next count. You may finish it with the next breath. In general, we breathe in and breathe out 21600 times a day. If one is focused on Ajapa Gayatri throughout the day, it is equivalent to performing a Gayatri Mantra Japa 21600 times. The ancient Hindu scriptures say that with such a practice we can discover the Paramatma enshrined in our body.